Malcolm Hillgartner (Composer/Lyricist) met Jahnna Beecham (playwright/lyricist) while acting at the Oregon Shakespeare Festival. They were married onstage at the Empty Space Theatre in Seattle and have built a life together in the arts. Hillgartner has worn many hats as actor, composer, lyricist, music director, author, producer, and award-winning audiobook narrator. 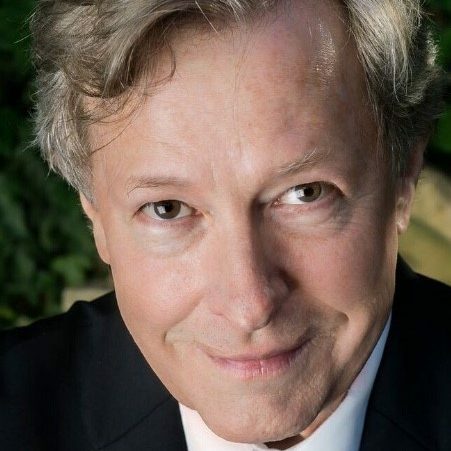 Composer and lyricist Hillgartner and playwright/lyricist Beecham have received commissions from Milwaukee Repertory Theatre, Repertory Theatre of St. Louis, Cleveland Playhouse, Hope Summer Repertory Theatre and Children’s Theatre of Charlotte. Their musicals include Chaps!, Dogpark: The Musical, Holmes and Watson Save the Empire, Chaps: A Jingle Jangle Christmas, Fire N Ice, The Nutcracker Prince, They Came From Way Out There and The Doll People. In 2013 Holmes and Watson Save the Empire (Ace Productions) won the “Best Small Cast Musical” Ovation Award in Vancouver, BC. Hillgartner and Beecham have written books, commercials, industrial films, and weekly columns for Sesame Street Parents magazine. They’ve written computer games for Trilobyte/Virgin Games and Scholastic, and award-winning learning programs for Hooked on Phonics. Hillgartner is a much-acclaimed narrator of more than 200 audiobooks for Brilliance, Blackstone, Tantor, Random House, Hachette and Penguin. He won a 2017 SOVAS award for “Best Narrator, History,” was named a “Best Voice of 2013” by AudioFile magazine, and has won multiple Earphones awards. Malcolm is a longtime member of Actors Equity, SAG-AFTRA and the Dramatists Guild.